We hold pride in the contribution we make in our local community and are proud of our team at HQ and all our wonderful nannies that we get to represent to families! As a nanny agency, what sets us apart from the rest is in how we match families to their perfect nannies. We love supporting meaningful businesses & foundations that make a positive impact for the better. Check out the awesome foundations we support along with our exciting media releases! We support some of Brisbane's best! We were beyond excited to see our director, Michelle in the Courier Mail talking about the Brisbane nanny recruitment industry and why she thinks more and more families are turning to nannies as a popular childcare option. Our gorgeous super-nanny, Gemma Car shares why she loves what she does. Gemma has had a career in hair-styling and photography and has found a dream career in nannying. You can read more about Gemma in our interview with her our blog. 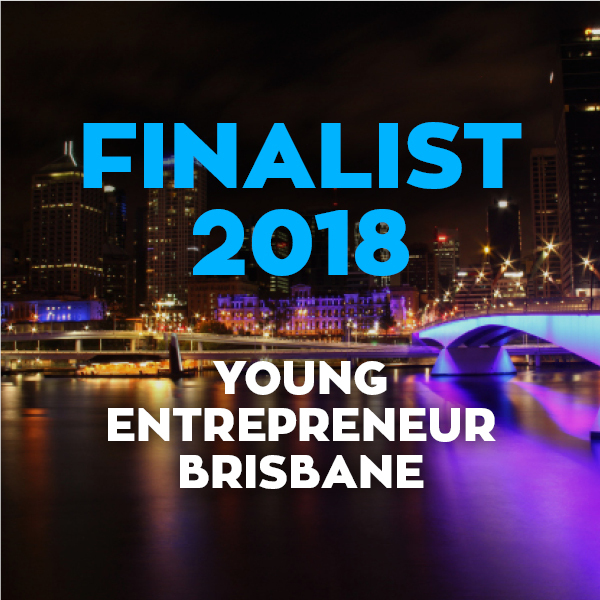 Michelle was recognised and nominated for all of her hard efforts in being Finalist 2018, Young Entrepreneur Brisbane. 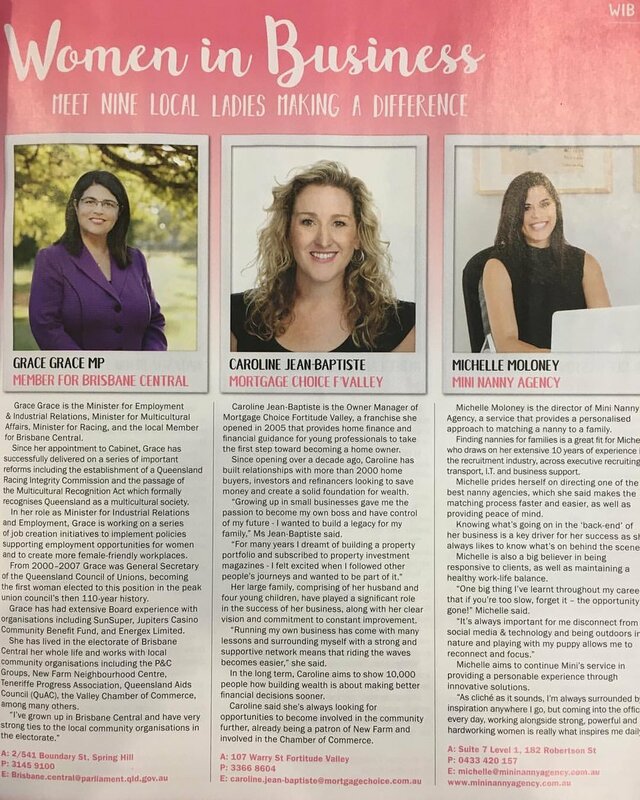 The Village News Brisbane is a print only newspaper, but be sure to pick up the copy to read up on our director Michelle and how she is making a difference in the Brisbane nanny recruitment scene with her extensive background in HR and recruitment and approachable attitude. If you'd like to read more about the beautiful Michelle Moloney, check out our interview with her on our blog below. The Australian Heart Foundation funds lifesaving heart research, and works to improve heart disease prevention and care for all Australians. The Daniel Morcombe foundation is a leader in educating children, parents, and caregivers about personal safety. We recently supported the Dance for Daniel event to show our support to this amazing foundation. mini nanny agency supports breast wishes. Here's to a cancer free future! Breast Wishes JOurney was created in 2016 as a platform to inform others about the BRCA gene mutation, preventative measures, and procedures to raise funds for cancer research and to form a support community. BRCA stands for Breast Cancer susceptibility gene, of which there are two types; BRCA1 and BRCA2. Mutations in BRCA genes dramatically increase the risk of breast and ovarian cancers.